Carl Dudley was best known for his 1958 production of Cinerama's South Seas Adventure, but throughout his career produced more than 300 "travel adventures" as he preferred to call travelogues. Dudley was born in 1910 in Little Rock, Arkansas aboard his father's Ward & Wade Minstrels Show train. 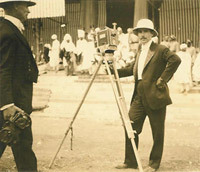 In 1935, inspired by seeing the film Mutiny on the Bounty, he traveled to Tahiti, Australia and India, supporting himself by working on film crews. He landed back in Hollywood in the late 1930's and worked briefly as a screenwriter. In 1944 he started Dudley Pictures Corp which produced the series This World of Ours and This Land of Ours for theatrical and educational distribution. He died of a heart attack in Hong Kong on September 2, 1973. 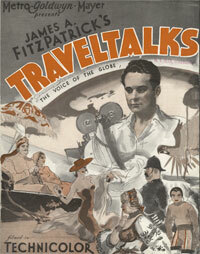 James A FitzPatrick was famous as the originator, producer, and narrator of "FitzPatrick Traveltalks" a long running series of over 225 theatrical travelogues he made for MGM between 1930 and 1955, many of them in Technicolor. 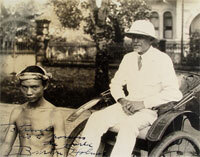 He claimed to have traveled around the world more than 25 times in the process. Born in Shelton, Connecticut in 1894, he graduated from Yale and later attended the American Academy of Dramatic Arts in New York. In 1923 he formed Fitzpatrick Pictures and produced a series of theatrical shorts about famous composers. Following his stint at MGM he made a series called Vistavision Visits for Paramount. He died on June 12, 1980 in Palm Springs, California. Eugene Castle, while not exactly a travel filmmaker, was perhaps was the person most responsible for popularizing travelogues for home viewing. 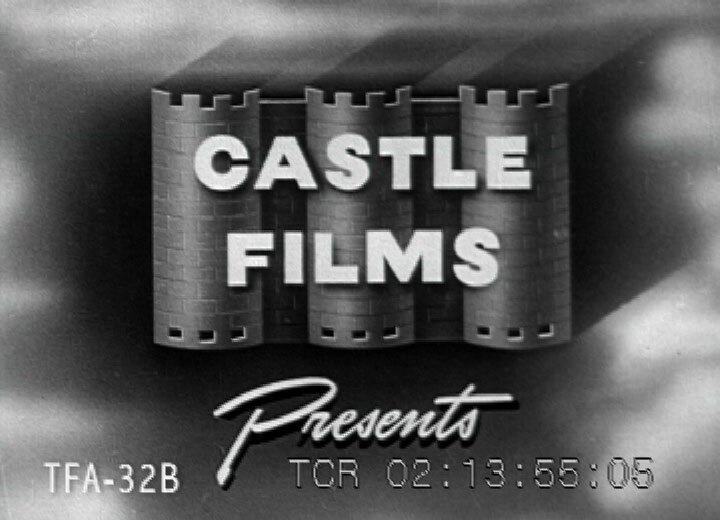 His company, Castle Films was the largest distributor of films for home use in the 1930s, 40s and 50s. Born in 1897, Castle began working for Pathe News while still a teenager, and held a variety of positions in the non-theatrical film business until 1937, when he hit on the idea of drawing on newsreel and old silent film libraries to create one reel shorts for sale on 16mm and 8mm to be watched at home. In 1947 he sold the company to Universal Pictures for a reported $3,000,000, and Universal continued to use the Castle Films name and trademark until 1977. Following the sale, Castle devoted his time and money to publicly campaigning against what he considered to be the inefficiency and waste in America's foreign propaganda activities, especially the USIA. He died in New York City in 1960.